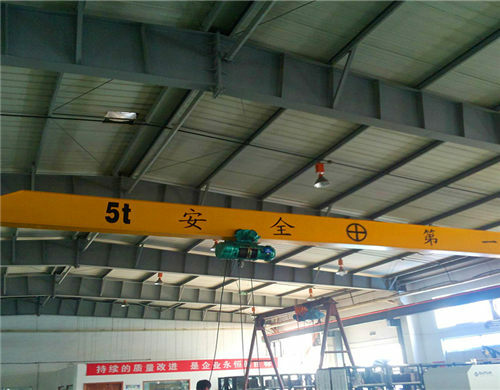 5 ton overhead crane is a kind of light duty crane that is widely used in many cases, such as shop, warehouse, factory and so on. 5-ton cranes are the most popular crane machine in the market because they are practical and fashionable. Generally speaking, 5 ton overhead crane for sale is widely used in the construction sites to lift or carry the goods and raw materials. All in all, the cranes appear in the place where the carrying is needed. 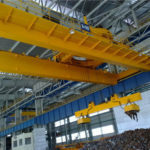 It’s a fact that all of the bosses will choose to use the overhead crane if people are not able to handle the goods up or down. Apart from the 5-ton bridge crane, 1 ton overhead crane and 10 ton overhead crane are our hot products as well. 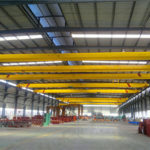 As a professional overhead crane machinery equipment supplier and manufacturer, we offer overhead cranes for customers around the world. With the development of our company, we are trying to establish a world famous brand in the world. Even though our overhead crane has delivered into many countries in the seven continent of the world, we also work hard to make our company better and better. Our products have transported to Thailand, Russia, Egypt, South Africa, Malaysia, the Philippines, Australia and so on. 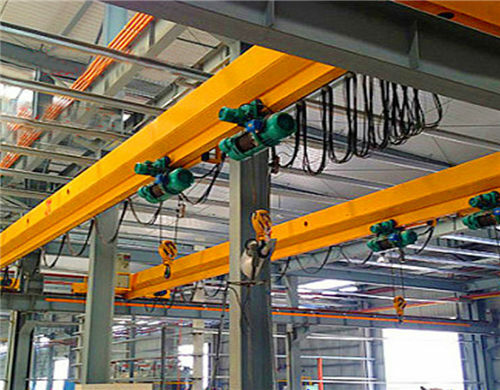 European standard single girder 5 ton overhead crane: European standard overhead crane adopts the European standard and it reaches the European technology standard. The advantages of this series crane are compact structure and stable performance. It also equipped with a high-quality motor and special design. LX series electric single girder overhead crane has a simple structure and lower price than the price of European standard overhead crane. It must be used cooperated with the electric hoist. It is widely used in many places other than the over-high temperature environment. LD series crane features at the lower price and wide applications. They are widely used in the factory, warehouse and workshops, and some maintenance workshops. LDY series crane is mainly used for the metallurgical and casting place to hoist the molten metal. It features at the simple structure and low cost. What’s more, the supporting lifting mechanism is YH type metallurgical electric hoist. 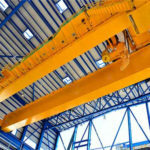 Our company also provides customers with other overhead cranes. 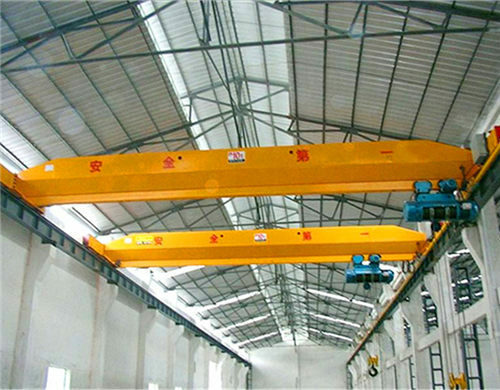 If you are interested in the overhead crane machine, please keep in contact with us and our company will give you ideal solutions as soon as possible. 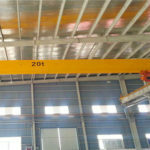 The price of 5 ton overhead crane is different if the type is different. On the one hand, the price of 5 ton overhead crane is competitive. Our company is located in the center part of China and here is the base of construction machinery equipment. The Chinese government supports the development of our machine so that we can give you a competitive price. On the other hand, a 5 ton overhead crane price is reasonable. The coat in the raw material and workforce is relatively low compared with the others. If you are interested in our overhead crane machine sincerely, please send us an inquiry for quotation, we will give you the best price in the market. 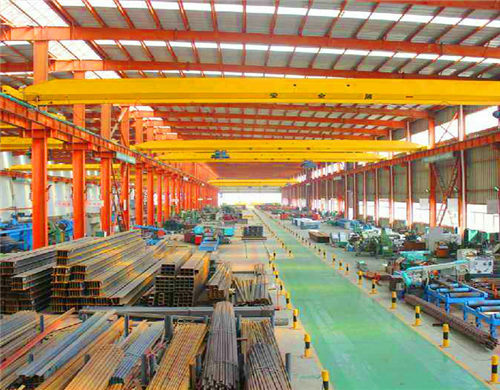 Girder: There are single girder overhead crane and double girder overhead crane in our company. The girder is made up of special steels that can afford the higher rated load. The weight that girder can stand is far more than the rated load so that it is unnecessary to worry about the quality of the girder. 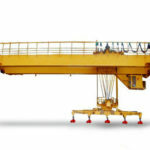 Controlling device: The crane can be operated automatically or semi-automatically. Workers can operate the machine through the ground wired handle and ground wireless remote control. It also can be equipped with the control room hanging in the girder. However, it is unnecessary if the lifting weight is relatively light. Motor: The motor plays an important role in the lifting system. The motor of our company has different specifications. For example, the conical motor is equipped with the hoisting motor of the wire rope electric hoist. ZD single speed motor is equipped with the constant speed electric hoist. All of these motors have a different speed and rating load, if you want to know more about this, please send an email to us. Wired rope electric hoist: It is kind of small size lifting equipment which can work cooperated with the single girder overhead crane, double girder overhead crane with hoist and so on. Following is the type of electric hoist: CD1: it has a constant speed and can meet the needs of general requirements. MD1: this series hoist can work at a low speed and common speed which is mainly suitable for precision assembly, equipment maintenance, and other fine workplaces. The lifting capacity of CD1 and MD1 type electric hoists range from 0.25~16 tons. The hoisting speed of the HC type electric hoist is constant speed; the hoisting speed of the HM type electric hoist is constant speed and slow speed. The lifting capacity of HC and HM type electric hoists ranges from 16 tons to 100 tons. All in all, here are some basic components in the crane. we have detailed information in our company, as a result, please send an email to us if you are interested in our 5 ton overhead crane. 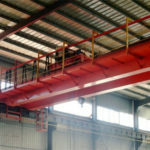 What Should You Know about 5 Ton Overhead Crane? Safety awareness is so important and necessary in our daily life and construction working environment. Following are some safety points you should know. 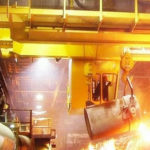 In order to ensure the safe operation of overhead cranes, the safety inspection of 5-ton cranes should be carried out during the operation of cranes. 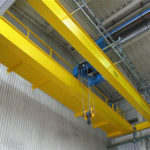 When an overhead crane is operated including automatic controlled, operators must stay in their posts. Once the abnormal situation occurs, the crane operator must take corresponding measures in time. In the process of the work of cranes, it is forbidden to do maintenance work such as sweeping and refueling. The relevant personnel must take effective safety measures when some troubles happen. The total power supply must be cut off after the work of crane has finished. When the crane stops work because of the inspection or maintenance, the power supply should be cut off and the warning marks should be put in the apparent place. You can’t carry or lift personnel with a grab because it is dangerous if people lie in the air. Special steel materials and rigidity character. Our company is one of the most famous machinery equipment suppliers who service the worldwide customers and we try our best to build a world-famous brand. Weihua is a comprehensive manufacturer to supply construction machinery equipment such as the construction equipment, winch, crane, hoist and so on. 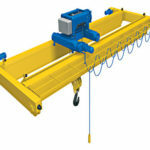 In the meantime, the hoist is one of the components of a crane and they can be used cooperating with a crane. Our company has gained many certificates in the world such as the ISO certificate, certificate of registration and so on. These certificates are the identification of our strength and power. All in all, it is unnecessary to worry about the quality and the certificates. What’s more, Our company has professional inspectors to check the quality of the machine. In a word, we always try our best to provide customers with reliable quality 5 ton overhead crane. Please feel free to keep in touch with us with no hesitation. We are waiting for you.